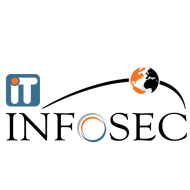 ITinfoSec, an IT service providing Company based on Kalaburagi/Gulbarga, India. We provide High quality Training and consulting in various field that full fill students, Companies, government and Individuals Requirements. We mainly provide Training in Ethical hacking, IT Security, Networking Security, and All Ec-Council courses, Cisco. Itinfosec conducts classes in .Net Certification Training, .Net Training and Advanced C. It is located in GB Court, Gulbarga. It takes Regular Classes- at the Institute.